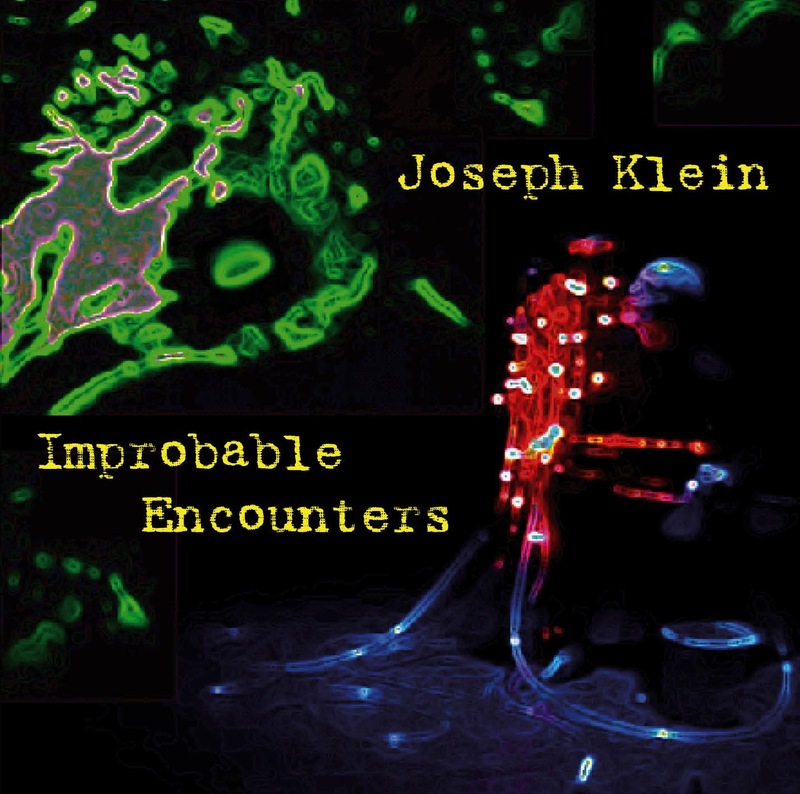 Improbable Encounters is a 2-disc collection of varied works by composer Joseph Klein, spanning a period of nearly 30 years and covering genres as diverse as solo, orchestral, intermedia, theater, text-based, and electroacoustic works. Klein’s music reflects an ongoing interest in processes drawn from such sources as fractal geometry, chaos, and systems theory, often inspired by natural phenomena. His works frequently incorporate theatrical elements, whether as a component of the extra-musical references or as an organic outgrowth of the musical narrative itself. Literature is another important influence on Klein’s work, with recent compositions based on the writings of Franz Kafka, Elias Canetti, Alice Fulton, W.S. Merwin, Milan Kundera, and John Ashbery, among others. Klein is on the faculty of the University of North Texas, where he has served as chair of the Composition Division since 1999. Among the solo works included on Disc 1 (CD) of Improbable Encounters is a collection of nine pieces based on surreal character studies by the Bulgarian-born writer Elias Canetti (1905-1994), composed for a wide variety of (often unusual) instruments. Featured performers include three of Klein’s faculty colleagues at UNT (Elizabeth McNutt, piccolo; Christopher Deane, percussion; Felix Olschofka, violin), as well as other distinguished performers from around the world: German-based flutist Helen Bledsoe (on works for bass flute and ocarina); French glass harmonica specialist Thomas Bloch; Dutch bass saxophonist Andreas van Zoelen; Chinese-based guitarist Joseph Mirandilla; and James Rodgers, contrabassoonist with the Pittsburgh Symphony Orchestra. Closing the CD is a concerto for soprano saxophone and chamber orchestra, Pathways: Interior Shadows, featuring UNT saxophonist Eric Nestler and the Nova Ensemble, conducted by the composer. Disc 2 (DVD) features five works that include theatrical, intermedia, and spatialized sonic elements utilizing 5.1 surround sound. Goblin Market, composed with the assistance of a grant from the NEA for the intrepid trombonist William Bootz, is a tour de force that requires the performer to negotiate the entire range of the tenor and alto trombones (including notes that don’t even technically exist on those instruments), as well as “prepared euphonium”—an instrument modified with rubber tubes and noise-making devices, and festooned in flashing Christmas tree lights. Among the theatrical demands of the work, Bootz plays his instruments scurrying around the stage, squatting in a corner, and even lying on the floor. Accompanying Bootz is the equally-game Douglas Reed, performing exclusively inside a piano with a collection of paraphernalia, including balloons, chains, plectra, bows, mallets, and a variety of music boxes. Written for the Los Angeles-based guitar duo of Matthew Elgart and Peter Yates, IcarUS At thE caBARet VolLtairE may be characterized as a self-reflexive caricature of the inherently theatrical nature of musical performance itself. The combination of exaggerated physical gestures, extended performance techniques, and absurd spoken passages, contrasted with the guitarists’ deadpan delivery, result in a work of unabashed drollery. The Elgart-Yates Duo has performed the work to acclaim over fifty times throughout the United States and Europe since its premiere in 1985, including the 1988 Gaudeamus MusicWeek in Amsterdam, where the work received an Honorable Mention for the Gaudeamus Prize competition. Two text-based works with multi-channel computer music, Three Poems from Felt and Cornell Set, feature the work of distinguished American poet Alice Fulton and four of her former students from the Creative Writing Program at Cornell University. Rounding out the DVD is Leviathan, based on a poem by W.S. Merwin and featuring vocalist Wes Moore and bass trombonist Jeremiah Stones. The intermedia components of this work include multi-channel computer music, live processing of the voice and trombone, video projections, and theatrical lighting.